Riverbank Centre, Reyburn House Lane, Town Basin, Whangarei 2nd Wednesday each month at 1:30pm from February to December. All meetings have a session of items of interest provided by members and also a one page display on a set subject or letter of the alphabet which is not judged. We also have a sales table which is available before the meeting and at intervals during the meeting. Door charges: $2.00 if there is no speaker or it is a club speaker; $5.00 if there is an invited speaker. Stamp fairs are held on two Saturdays each year. 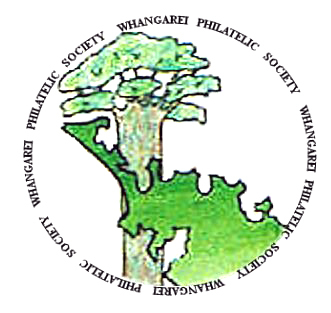 These are held in combination with the Kaitaia Stamp Club and Kerikeri Stamp Club as a combined meeting for all members of the Association of Northern Philatelic Societies. Kotahi Cup: traditional competiton for experienced competitors up to 16-pages. Entries due in May. Miller Cup: traditional competition for novice entrants up to 16-pages. Entries due in May. Postal History, Thematic (prize provided by NZ Post) and Social: up to 16-pages. Entries due in November for presentation at the Christmas meeting. The Society’s library contains many excellent reference books which are readily available for your use. Members joining from 1 March only 50% of subscription is payable.